I’ve played the original X-Com series for the blog, including the city focused sequel, and while I still loved the basic formula, I struggled with the interface and difficulty of the original. A few years into this blog, they released this remake, made by Civilization giants Firaxis, and it became a well loved game, rivalling the original. I held off on playing it because, well, it ended up on this list and I might as well for the right moment, say for a lonely Sunday in the run up to Christmas. I’ve got the time, I’ll take it. Now, first of all, I played XCOM on easy, as I wanted to get through itand see more of what’s going on. This meant I might have had an easier experience than the original UFO: Enemy Unknown, but as the difficulty slider was broken in the original game, who knows for sure? What was certain is that it was easier to understand what happened, what to do and how it all works together. The game starts off with plenty of cutscenes with some story which guide you through the steps of building up your base while still being able to respond to the random events that come up during the game. While the base building is obviously secondary to the tactical mode, the strategic part of the game hits the right points. It’s not overly complicated to deal with your base, but there’s some balancing of different rooms and fund allocations, with enough ego boosts when you get something right. Research in particular has an added layer on how things interact that work quite well. The other side, where you need to balance the needs of different contintents, really gives you a decent feeling of trade offs. Usually, when a mission comes up, you have to pick between a few different locations to take on. Those that you help will continue to provide funding, but the ones you avoid helping a few times will drop their support which will hit your income. It creates a nice set of trade offs where you need to make the hard choices – who do you help and who do you drop? The battles themselves feel fairly straight forward, but with a lot of complexity that comes in when you dive in deeper. Your soldiers have a bunch of options, but they’re presented well and mostly focuses on a couple of options at a time. There’s some awkwardness with line of sight, in a few missions I had enemies show up out of nowhere, but it’s a lot better than the first game and became a lot easier to get used to. Combat is still lethal, but it’s easy to swap soldiers out. They rank up as they gain experience, unlocking additional abilities based on their class while generally unlocking their abilities. It makes these stronger soldiers more useful to keep around, but it’s always a trade off whether you want to use them. Luckily, even injuries require them to be swapped out, so you’re always sharing XP over a larger group. It does also mean that luck defines what you can do. So far, the enemies play on a lot of general stereo types. They’re lovingly crafted, with some great animations and feeling just right. The whole game does, really, adding a layer of polish while putting in references to the old games and some sci fi tropes without overwhelming that angle. 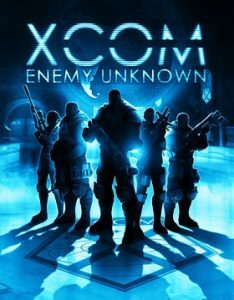 XCOM: Enemy Unknown is the game I needed in the X-Com series: Streamlined, easier to read but not entirely moving away from the difficulty the harsh environments create. 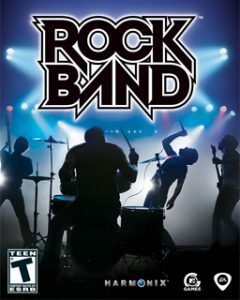 It’s addictive and a game I need to play a lot more rounds of. It could absolutely be a Civ replacement for our holiday gaming. I’ve been bad in playing DS games, not getting to them as often as I should – even though they’re as often great for watching TV with or similar. What doesn’t help is that it feels like they’re dominated by puzzle games, which I have to pace myself on to not run out. Planet Puzzle League is one of those, and I have a chance to play it now. 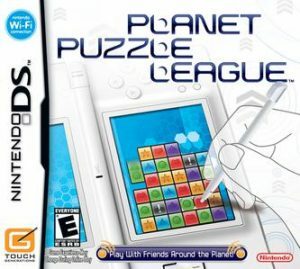 I’ve played Puzzle League games before, such as in their Pokemon iteration, and they feel like part of the brand of Tetris rip offs – following the likes of Dr. Mario and Lumines – so it should be accessible and still fun. If nothing else, it’ll certainly prove to be addictive! Planet Puzzle League follows its standard formula: You swap blocks so they form a line of same coloured blocks that’s at least three blocks long or high. Blocks come up from the bottom if you’re in a score attack or timed mode, while in puzzles they sit there. It feels a bit stale by current standards, but we’ve got a solid game here. For the modes I played, the difficulty curve was quite gentle, but engaging. I’m not sure it quite got to addictive, though, in comparison the modes felt a bit stale and there’s little to dress up the entire game. There isn’t much that varies on the formula. You play the game and it speeds up, while the graphics change as they go on. The visual styles start off quite clear, but I found a bunch of them to e quite difficult to read. While that might create some false difficulty, I don’t think it pays off at any point. Planet Puzzle League is a decent puzzle game, which follows a decent twist on the formula. It doesn’t feel like it does anything innovative, but it runs quite well. As time went on, the adventure has continued to evolve – and while interactive fiction was the medium of story telling, it’s just not as attractive as graphics bring in. 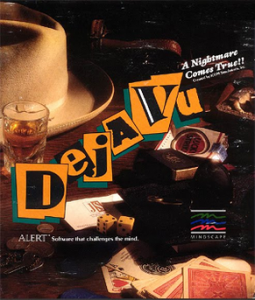 For that reason, games started introducing some graphics and Deja Vu is an early one that does so. I’ve seen bits of it, and it isn’t full on like, say, Broken Sword, but we’re moving on from having to use your imagination like you would do in Zork. I have been wondering about the style and looking forward to try it, so I’m glad it’s come around now. One of the things that I feel playing this game is that it’s still trying to figure out graphical adventures. The images are there and they are used in lieu of some descriptions, but not everything is there and you still have a room based structure where you move from one to the other, without an avatar in the world or anything like that. The game’s interface is a bit awkward – it feels like an early window-based interface, I guess early Mac style, and your inventory, as well as other containers and such, are actually windows you switch between. It’s mostly a nice idea, but as there’s no sorting or linking to that, it’s easy for stuff to get buried or lost. Still, although the interface is awkward and gets in your way sometimes (yeah, I did check a hints file after a while), the game is a lot of fun to play. You get to explore a story of amnesia, starting in a deserted bar that has its secrets. There are some text adventure touches that disappeared from later games – wandering characters and the like – that might not be as modern now, but create that living world that we get. Not to the extent of The Hobbit, but it’s there. The big question is still where it goes, but it feels like something fun to dive back into. Deja Vu is an interesting game, still exploring the lemeents of UI and how to integrate more modern UI design into games. Not a lot of games do that still – for good reason – but seeing it explore this different way of interacting is interesting. Beyond that, though the game makes good use of the different option while still telling a bigger, more intricate story that you saw more in the text adventure days. Square Enix always seems to try to create new RPGs, playing around with the set formulas to see what new things they can create. This happens both in the changes to the Final Fantasy series as well as different series like Chrono Trigger. 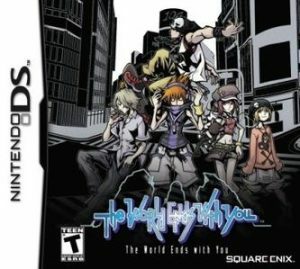 The World Ends With You is a more recent exmaple of that, using a modern day setting and some other interesting mechanics that I’m looking forward to trying. The aesthetics of The World Ends With You stand out from the start, a roughly current era Tokyo – specifically the area around Shibuya, which always gives the odd sensation given I visited it a few years ago. Mixed in with that is a Jet Set Radio like, skater influenced style that especially applies to our main character Neku. Parts of the game feel like they’re in back alleys and service corridors, not just the busy streets of Tokyo. It’s not a setting and style that’s explored often and especially not in RPGs, but it works incredibly well here. There’s a weird focus on commercialism as well – your equipment comes from different brands, and since brands are associated with areas (and I guess the type of people who hang out there), your equipment will be stronger or weaker based on the brand’s placement in that area. It’s a nice touch that feels appropriate but unique. The story makes use of that too. You get mixed up in a lethal competition that will end the world if you don’t finish it, although the protagonist doesn’t care as much early on. The fact that it’s limited like that creaes a sense of urgency – I don’t think there’s an actual time limit, but there’s a push to keep going forward even if the game doesn’t require you to finish in a certain time. The story feels like it can keep ramping it up and pulling that off, in part because it mixes it with the life of ordinary people at the same time, mostly through the sub and side missions you get. The battle system feels as different. You can adjust your level, first of all, to determine your difficulty – although an easier battle also gets you less rewards. More interesting is that you play at two levels – you play on the touch screen, where you use equipped pins to perform different moves. It keeps your options focused, but works out well. At the same time, your partner is fighting on the top screen. The AI can control her, but if you want you can take over, doing more reflex based attacks and optimizing the attack boost through the light that switches between you. Still, that really feels like an advanced technique, which I wasn’t ready for yet. The World Ends With You really relies on its setting in many ways – it defines its aesthetic, the game mechanics, the story and everything. It’s a lovely combination that I felt taken in by and will want to continue to dive into. I’m moving on with the Castlevania series – two handheld titles left, one of which I’m covering today. The second is the DS Dawn of Sorrow, so I assume there’s a link between the two games. It’s another Metroidvania, a side scroller with another trip into Dracula’s castle – the storyline is pretty predictable, but it’s the journey through the massive palace and its supernatural inhabitants that matters. While they were present in Symphony of the Night, this is the first Castlevania game I’ve played where the RPG elements stand out more. I still described it as RPG lite, but there is XP, you level up to gain HP and MP and there’s a bunch of equipment to gather. This matters because it felt like exploration was more worthwhile than in other Castlevania games, with detours always bringing you something and rooms having a purprose beyond exhausting your resources. The game feels more accessible anyway. 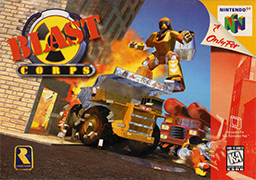 I struggled previously with the long gaps between save and heal points, but they felt like they occured more frequently playing through this – or at least you were directed there more often – and the stronger RPG elements meant that it was easier to push through a bit longer. The added feature are souls. As you defeat enemies, there’s a random chance they’ll drop a soul. Each enemy type has its own and they have different ways of enhancing your stats and abilities. It’s a neat system, more appropriate to the setting than just gear, but the random nature of drops makes it difficult to really rely on it – I’ve had to replay sections multiple times, and whether or not I got a soul made a big difference.Still, it’s been a neat idea. 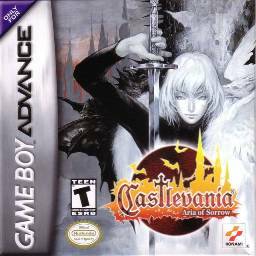 As I get further into the series, the Castlevania games keep working better for me. The additional convenience systems keep making the game easier to get through, which gives me more of a chance to explore the areas instead. The difficulty still goes up, which really started to opay off, but there’s a lot more in the game here that gets me roped in. That’s what I really want of it. It’s amazing how many football games are in the list and in particular how far they are spread throughout the years – other sports may have had their recent game stay on while FIFA 10 was booted off, but there are plenty more waiting in the wings. 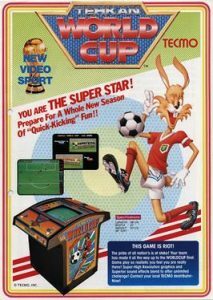 Tehkan World Cup, the effective predecessor of Sensible Soccer, is an early game to go isometric, unlike soccer-like Ballblazer that played with a simple version of the rules but went first person. It feels like that perspective change alone would be revolutionary. Tehkan World Cup is a football (or soccer) game that plays like it. It’s also an arcade game that is, by now, over thirty years old, and it lacks the more complex features of later soccer games – you steal the ball by running into it (a tackle animation sometimes plays), there’s no need for passing and throwing in the ball is very simple. It is a lot more accessible than the new games, but in this case to the point where it lacks the slight complexity from the mid-era games like Sensible Soccer. Although simple doesn’t necessarily mean easy, the game is simple enough that there were some exploits that made it easier to get through when the game got to the right point – get in the right position and you were guaranteed to score. It made it a bit nicer to get through, as otherwise while this is a nice basic football game, there’s not as much meat on these bones – at least it can give you that endorphin hit. Tehkan World Cup is a straightforward football game, with limitations as you’d expect them from the era. It’s fun if you want that sort of game, but there’s games that just cater to that feeling so much better, even one that don’t go quite as in depth as many others. I remember playing a turn based tank shooter called Scorched Earth when I was younger, a game where you move tanks across a plan and shoot them with different weapons – the latter offering some strategy and choice. It clearly took after Worms (or Worms took after it) with that feeling of shooting each other. 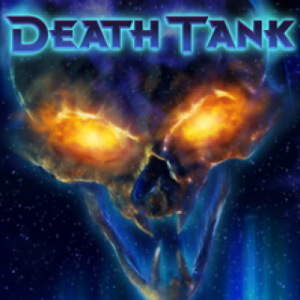 The original Death Tank took after this, making it real time instead, and it was remade for the Xbox 360, which is the version featured today. Obviously, we’re getting a decent graphics update here compared to those games, but that’d be the obvious change. I feel like the turn based strategy works a bit better for me – there’s more strategy to it, while here I was feeling amore frantic about defeating the enemies. You get to pick weapons in between rounds, buying more as you want them, with a huge variety. I don’t think I really got to grips with all of them (just as I don’t think I quite got to grips with the aiming), but there were some good tricks to pull with them. Sadly the reload time was fairly high, which meant there was a lot of driving and waiting to be done rather than getting into the action – I suppose it’s weirdly defensive, but not in a way that made it flow better. 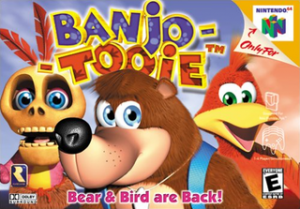 Still, it got to be quite fun, in part because the AI is biased to let you play as long as possible – they took each other out first on the basic mode – and so what it really gives you is that full on shooter experience. That was all I really needed.